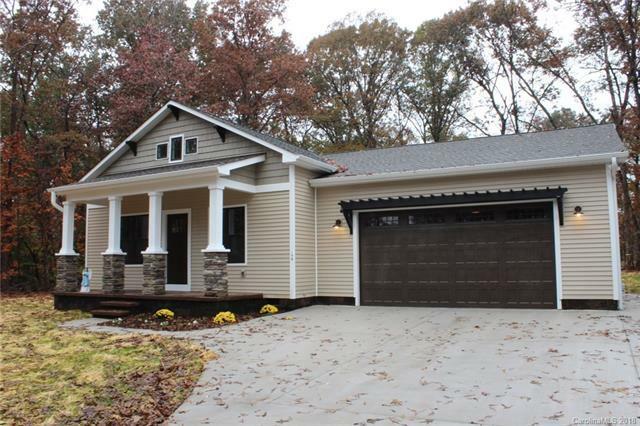 194 Jo Monni Loop, Statesville, NC 28625 (#3379319) :: Robert Greene Real Estate, Inc.
Beautiful new construction cottage style home in a lovely established neighborhood. Home boasts cute and cozy exterior with a craftsman flair, and interior will have beautiful modern styles as well, like granite counter-tops, gorgeous wood floors, farm style kitchen sink, kitchen counter bar, gas log fireplace. Large master with barn style closet door. Master bath has double vanities and beautiful walk in tile shower. This home has been adjusted to also have an additional suite. Very rare! The original floorplan is around 1550 heated square feet and Looks very similar to the picture of the house on this listing and the builder can build that home with that square footage for $195,000. Ask about details.